Visiting Professor for Human Rights and International Diplomacy, Centre for Peace Studies (CPS), Sri Lanka. Senior Consultant in Psychotherapy and Hypnotherapy – Ceylon Holistic Centre (CHC), Mount Lavinia, Sri Lanka. Was a Member of the Development Panel from January 2017 to April 2017 for the Development of the National Competency Standards (NVQ Levels 4 and 5) and Assessment Resources for the Psychological Counselling Sector with the Standards Setting and Curriculum Development Section of the National Apprentice and Industrial Training Authority (NAITA) of Sri Lanka. Brigade Commander, SUN Force Official Anti-Drug Abuse Volunteer Brigade, SUNFO (Sri Lanka - United Nations Friendship Organisation), Sri Lanka. Member of the World Society of Anti-Aging Medicine (WOSAAM), Belgium. Director of Studies and Psychotherapist – Institute of Mental Health (IMH), Colombo-04, Sri Lanka. 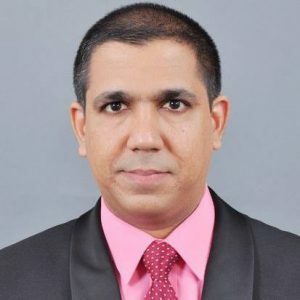 Managing Director, Romesh Jayasinghe Associates (Pvt.) Ltd., Colombo-04, Sri Lanka.